Felipe Diaz Huarnez is a professional illustrator and comic artist from Santiago, Chile. He holds a degree in illustration from the professional Institute of Arts and Communication (ARCOS) and works as an international freelancer specializing in children’s book illustration and comic art. 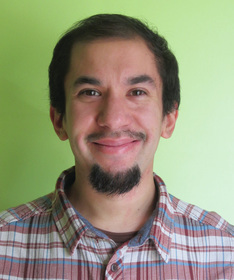 He has illustrated several children’s books, including The New Wheelchair, Lady on the Run, and El Clavileño Dos and illustrated the cover/back cover art for Al Infinito: Cuentos de Carreteras.